A comment I often get from Windows’ users is that they quite like the look of Linux but they also really like Windows. A common question I get asked is “What can Linux give me that Windows doesn’t?”. There is a fear factor that Linux is going to somehow ruin their day and they aren’t going to be able to do all the things they normally do. I have written an article previously which gives examples of how Windows’ users can try Linux without messing up their current Windows setup but I think there is something that can help the transition from Windows to Linux long before an ISO is downloaded from the Ubuntu website. A good proportion of the key applications used within Linux are also available in Windows and if the people wanting to try out Linux can get used to those applications first then it makes the final transition a lot smoother because instead of looking for Internet Explorer, Windows Media Player, Outlook and Photoshop the user has already become accustomed to FireFox, Rhythmbox, Thunderbird and GIMP. Another thing a Window’s user might not be keen on is filling up their hard drive with full blown applications that do pretty much the same as their current applications. This is where PortableApps (http://portableapps.com) comes in. The PortableApps website has a whole host of applications that can be installed onto a pen drive which can also run from the pen drive without touching any files on the host system. What is more is that the applications available are portable versions of the major applications that are available in Linux anyway. This means that a Window’s user can use all the applications available in Linux without installing anything onto their computer at all. Once the Window’s user is comfortable with the applications they are using they might consider installing the full application on their main computer and ultimately become less dependent on their Windows only alternative. When the user has become used to all the open source applications they will realise that they are now ultimately device independent and so whether they use Windows or Linux is entirely irrelevant. At this point the selling points of Linux become a lot easier to sell. No viruses, no subscriptions, freedom of choice, performance, better support etc. The other good thing about PortableApps is obviously that you can carry them about on a USB drive and use them wherever you go. Whilst I like to carry a bootable version of Linux on a pen drive I also carry a pen drive with PortableApps on it. To download PortableApps visit www.portableapps.com. You can choose to either download the menu and app store application or you can click on the “Get Apps” link which will provide you with a long list of applications to choose from. There are over 300 applications to choose from so I won’t list them all here but here are just a few that you could use to replace existing Windows applications and also because they are really useful to have with you. For anyone who has to work with SQL databases this tool is a good replacement for SQL Server Management Studio. It allows you to run queries against the databases you have access to. Database Browser Portable works with SQL Server, Oracle, MySQL and PostgreSQL. It also works with OLEDB and ODBC so in theory will connect to any database servers using those layers. Geany is a lightweight IDE. This is one of my favourite applications both in a Windows and Linux environment. It can be used for editing all sorts of programs including C, C++, Python and PHP. I used this tool heavily when building my son’s school website. Whenever I had a spare 30 minutes I could log on to the nearest computer and continue working on the site because my project and files were editable within Geany. This brings me onto the next application. Xampp provides a portable version of Apache, PHP and MySQL. Also included is PHPMyAdmin which makes it easy to create and amend MySQL databases and their objects. Not really a Linux application but for Windows users it enhances the existing Windows notepad by adding things like tab editing, syntax highlighting and auto completion. I found it to be a good tool for editing XML files. 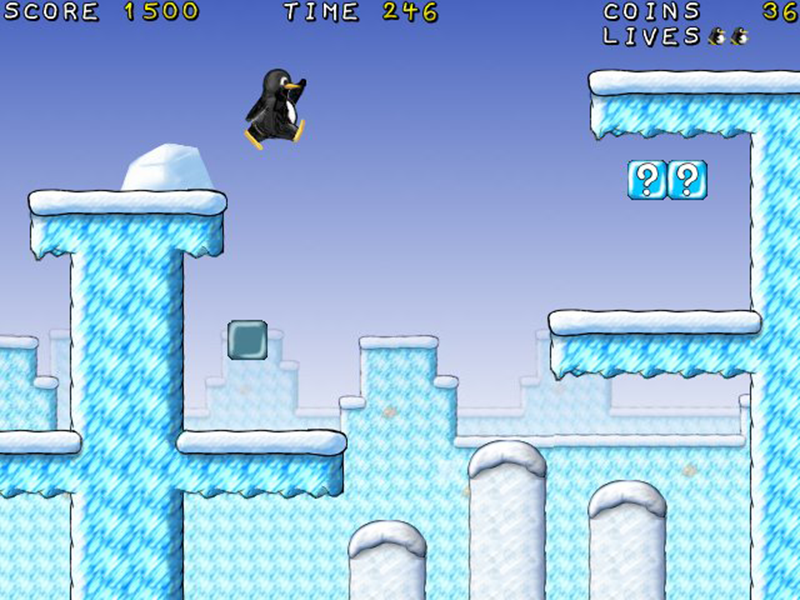 SuperTux is basically Linux’s answer to Super Mario where Mario is replaced by a Penguin. 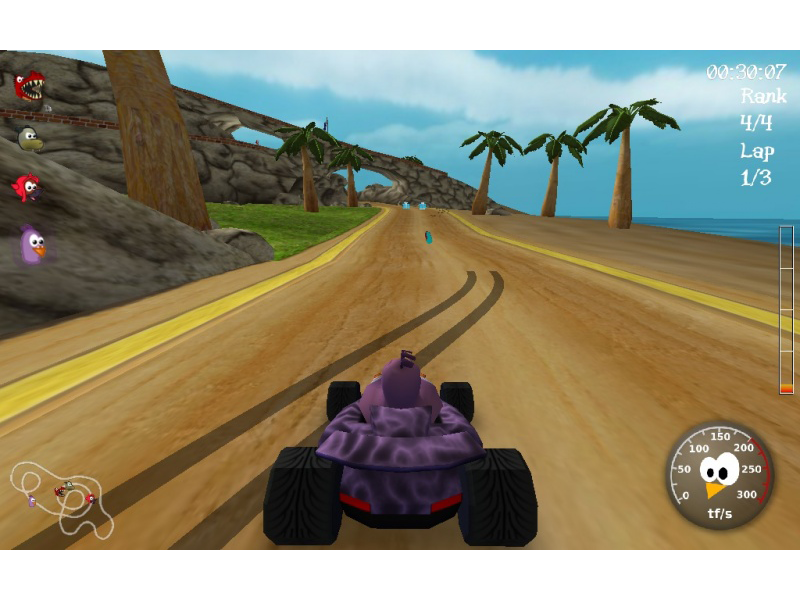 SuperTuxKart is to Linux what SuperMarioKart is to Nintendo. The game play is quite good if not quite to the level of Nintendo. Microsoft Visio is a tool used by project managers, business analysts and anyone who needs to create process diagrams, network diagrams, flow charts and database diagrams. 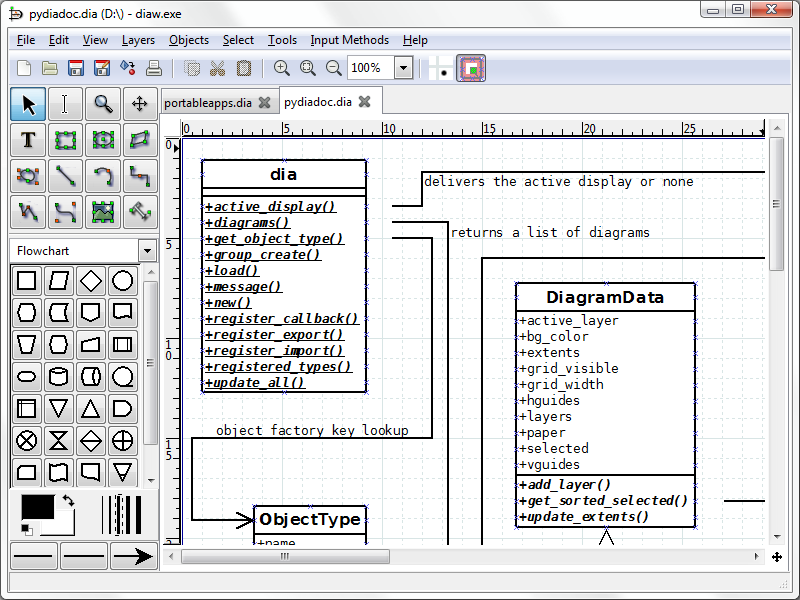 Dia is a tool that has many of the features of Microsoft Visio. I have found Dia useful on many an occasion where I have had to insert a diagram into a software specification. I am not really a huge user of Visio or indeed Dia but if you are a Visio user then Dia is just one example where you can become device independent. 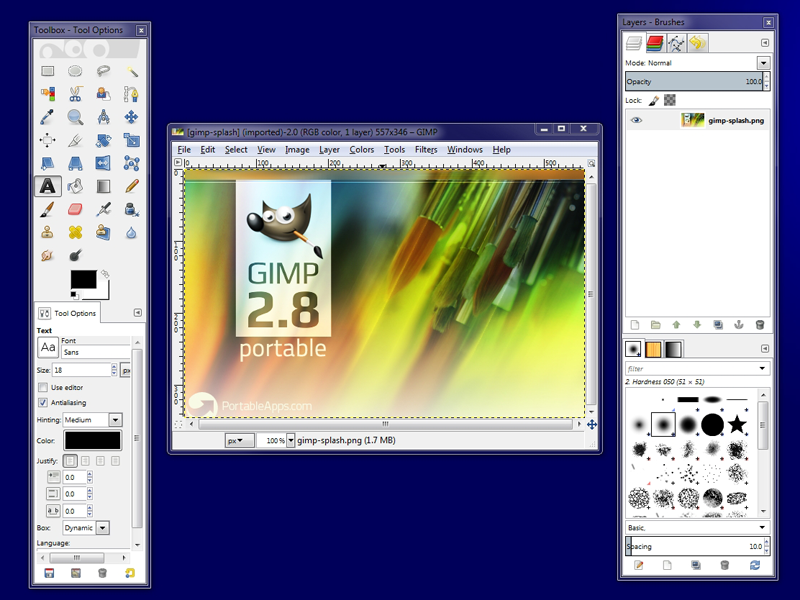 A lot of Windows users will already be aware of GIMP. GIMP is the open source equivalent to Photoshop. I am not qualified to determine whether GIMP is as good as Photoshop. As a casual user however I can say that GIMP has a lot of really good features for manipulating photos, creating logos and aiding with web page design. Adobe have created a new Creative Cloud service that you subscribe to online. The cost for the service is £48 a month or for the standard Photoshop £17.58 a month. Now if you are a professional you might not find all the features in GIMP that you need but it is worth giving it a shot because it is free. Inkscape makes it possible to create Scalable Vector Graphics (SVG). I have used SVGs in professional dashboard applications for quite some time and I use Inkscape to create them as opposed to Adobe Illustrator. Whether you ever plan to use Linux or not, Filezilla is a great tool. The Filezilla FTP client enables you to upload and download files to and from your FTP server. I am currently working for a major Oil and Gas company. We are currently stuck using Internet Explorer 7 within the office. Internet Explorer 7 is not supported by a lot of websites nowadays which is very frustrating. Google Chrome is for me the best browser there is and so having a portable version on a USB drive has become invaluable to me. 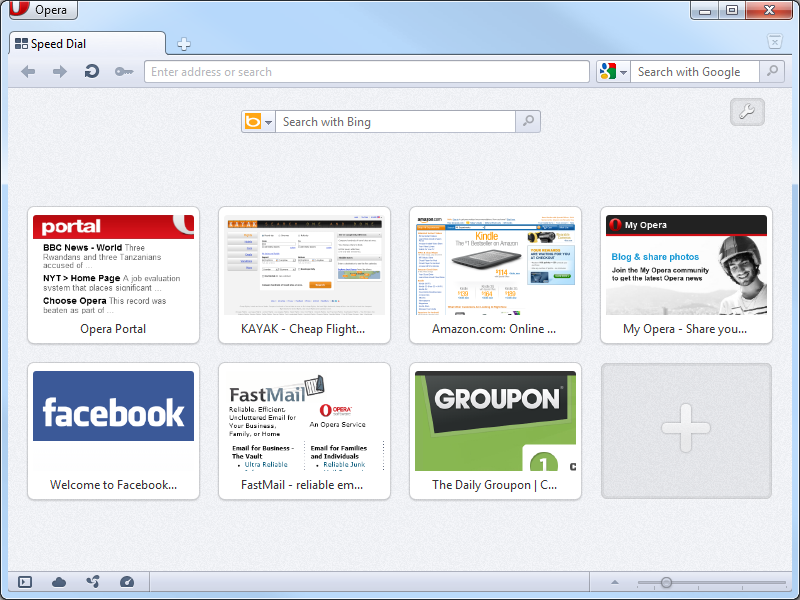 As an alternative to Internet Explorer and Google Chrome there is FireFox. If you haven’t heard of FireFox then the question has to be asked “Where have you been?”. A lot of Linux distributions come with FireFox installed as the default browser. It is therefore a good idea if you have any inclination of moving to Linux to use the portable version of FireFox to get started. 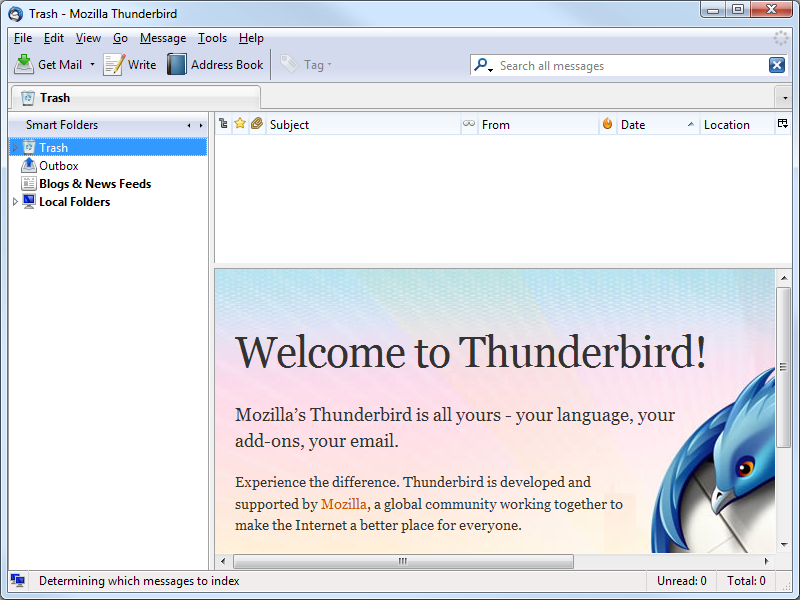 Thunderbird is the closest application in Linux to Microsoft Outlook. Many of us for home use probably use web mail for accessing our emails. If you do prefer to use Outlook then you may be using Outlook Express as opposed to the full product. Thunderbird is free and easy to use and provides most of the functionality that you will find in Outlook. (Especially Outlook Express). For home use Thunderbird is perfect. Yet another browser on offer is Opera. Opera isn’t open source but is free to download and use. Some of the features include a built in webmail client, the ability to compress web pages before downloading them and a speed dial option to access your favourite pages with a single click. If you use MSN or any other instant messaging program then Pidgin is the open source equivalent that it is worth getting used to. Pidgin is made available by a lot of Linux distributions and contains many of the features of MSN. It is compatible with MSN, Yahoo and AOL. Seamonkey is a web browser used on some of the more lightweight Linux distributions. If you are looking to get more juice out of your system by moving to Linux and you wish to maximise your resources then Seamonkey is a web browser that will enable you to achieve that goal. If you want to chat with distant relatives over the internet then Skype enables you to do that. It is great for grandparents who wish to see their grandchildren when they live a long way away. Skype is available for both Linux and Windows. If you use Windows Media Player for listening to music and watching videos then it is worth giving VLC a go because whether you plan to use Linux or not VLC is a much better application. Abiword is a word processing package. It isn’t really a replacement for Microsoft Word. There are better applications for that purpose. Abiword is good though if you want to type the odd letter or create basic documents. (It is a bit like the word processing package that used to come with Microsoft Works). Abiword is quite often included with lightweight Linux distributions so if you are looking to get extra juice out of that old computer then Abiword might suffice if you need a word processing package without all the bells and whistles. Gnumeric is a spreadsheet package. As with Abiword it can’t be considered a replacement for Microsoft’s mammoth spreadsheet package Excel. Excel is used by every man and his dog for creating simple invoices, small applications and complicated analysis tools. There are a lot of so called Excel and VBA experts out there. Gnumeric can’t replace that but if you just need to quickly create a spreadsheet for say working out a budget or for creating import/export files then Gnumeric should more than suffice. LibreOffice is a tool that can compete with Microsoft Office. In fact LibreOffice has become so good that Microsoft even includes features in their products that were first thought of and used within LibreOffice. For home use LibreOffice is great. It is feature packed and includes a word processor, spreadsheet package, presentation package, database package and more. Before LibreOffice there was OpenOffice. In fact LibreOffice is a forked version of the OpenOffice software. The PortableApps version is out of date as approval is required from Apache to package OpenOffice as a portable application. As someone that often changes Linux distribution, the Unetbootin tool has been invaluable to me. This software makes it possible to create bootable versions of Linux on a USB pen drive. I will go through a small example here though. 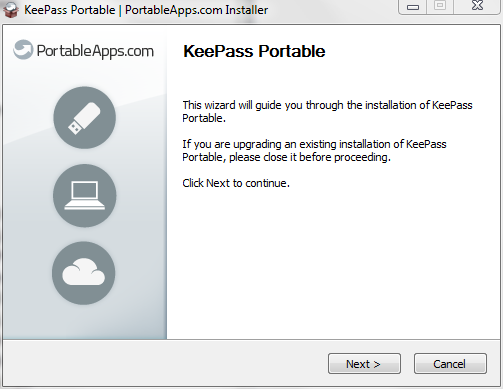 The program I will demonstrate is KeePassPortable which enables you to store all your passwords in one place. The idea is that you create more secure passwords and different passwords for each site and application. To install the application first download it from Portable Apps. The download will be a file with a “.paf” extension. 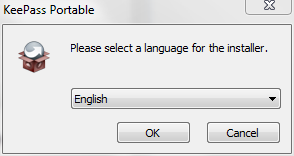 Double click on the downloaded file and a box similar to the one above will be shown asking the language you wish to use to install the software. A wizard style application will be displayed. Click “Next” to get past the initial welcome message. Now choose the destination folder for the application. You should point the destination folder to your USB drive. That is it. The application is installed. As I said before there are over 300 portable applications available and it doesn’t matter whether you are a Windows user planning to use Linux or not. There are some great applications that can run straight from a USB drive without touching the host system and that has to be a good thing. 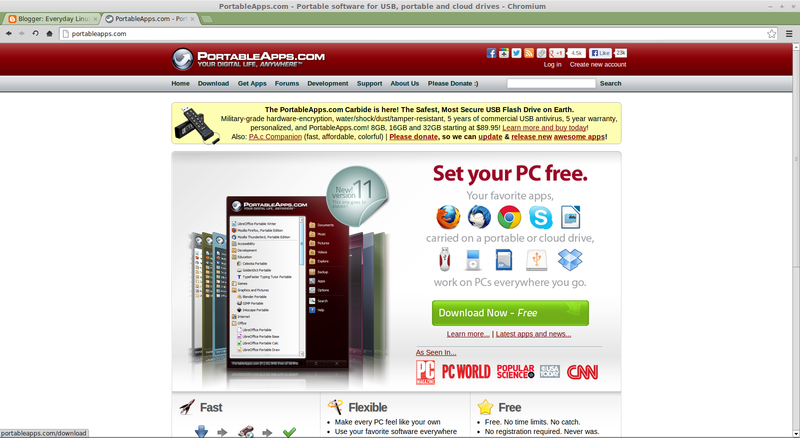 PortableApps enables users to get used to applications that are operating system independent.